Cover Lay Down CONTEST WEEK! Due to an odd confluence of events and generosity, we hereby declare it CONTEST WEEK here at Cover Lay Down! As the week progresses, we’ll be offering several day passes and CD prizes from Grey Fox Bluegrass Festival (July 16-19), AND a pair of weekend camping passes to Falcon Ridge Folk Festival (July 23-26). The rules for each are simple — one entry per person, per contest — so don’t forget to come back and enter each as it comes. 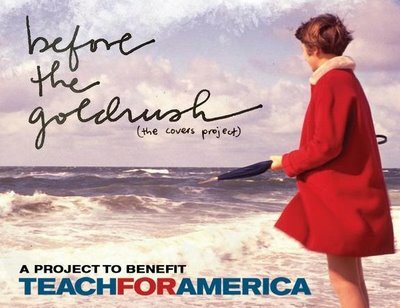 Today’s kick-off contest comes courtesy of A Nest of Eggs, who has partnered with Teach for America to create Before the Goldrush, an incredible 26 track tribute to the singer-songwriters of the sixties and seventies. Our original review of Before the Goldrush, first posted way back in January, is thorough and complimentary, but it’s worth noting that this incredible next-generation tribute album is still on rotation in my living room. And in a blogger’s household, it’s the very rare disk that sticks. My favorite part of the project? All proceeds go to Teach for America, an organization which recruits teachers from and to urban and rural areas in order to eliminate educational inequity. As a high school teacher in the inner city schools, I cannot think of a more appropriate way to kick off our contest week. Before the Goldrush is only available in digital-download format, but we’ve been given permission to give away a rare copy of the press-only CD — containing all mp3s and files for the project, plus beautiful cover art and liner notes. For a chance to win this jewel-case promo copy of Before the Goldrush, leave a comment OR send an email with the subject “Before the Goldrush contest” letting me know which original song on this album has had the strongest impact on you. We’ll pick winners for ALL contests at the end of the week. I don’t usually take requests, and in the case of Michael Jackson, I wasn’t planning to, either. After all, the death of the King of Pop has brought forth a veritable flood of tribute posts, many of them cover-laden (see below for links). And like many of you, though his history is entwined with my own, I haven’t really listened to the man himself in over a decade. But now that the internet has recovered a bit from the news of MJ’s passing, thanks to an extraordinarily generous donation of covers from the Queen of Fragrance, without intending it, I find myself awash in both memory and material. And to my immense surprise, some of these donations, along with some of the covers I’ve been hoarding against time and inclination, have not yet saturated the blogs. Far be it from me to ignore my readership, or the unparalleled significance Michael Jackson had on the evolution of both my own taste and that of a generation of artists who I love. After all, Michael Jackson’s Thriller was the very first album I bought new. 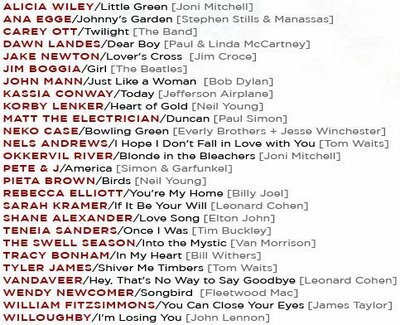 I know the words to almost every song on the record by heart. And as a culture vulture, and a serious student and teacher of the media age, I cannot help but acknowledge, as so many have before me, the very real loss that Michael Jackson’s death represents. For an end of an era, then: The best and the rest of a thousand covers, and more. May the world continue to struggle with fame and fortune, and the premature loss of childhood which Jackson indicted and bemoaned with every song. MJ, though we hardly knew ye, perhaps in your memory, we can learn to take better care of all our children. Cover Me’s full album tribute to Michael Jackson’s Thriller with amazing covers by Craig David and more. NOTE: These files will go down on Wednesday, so act now! A full set of covers from our sole female coverblogger compatriot over at Blowin’ Your Cover, including an alternate live take of KT Tunstall’s I Want You Back, and a lovely if fuzzily recorded solo version of Beat It from pianofolk deconstructionist Emm Gryner. Song By Toad finds three covers, too; the speed metal Alien Ant Farm version of Smooth Criminal is as far as it gets from folk, but it’s long been a guilty pleasure. Though I consider myself a folk blogger first and foremost, as our masthead notes, coversong has its own appeal, both as kitsch and culture. And I make no apologies for the focus, nor do I regret the readership it brings. After all, even if just a few of you get hooked on a new song or artist each week, we all win in the process. Of course, it’s worth noting that, as a coverblogger, I’m somewhat of an anomaly. The community of coverbloggers is a small one, and it tends to focus on interpretation and transformation; as far as I can tell, I’m the only one who sticks to a genre. But it’s no secret that many of you come for the covers. Still, if you’re a regular reader of the coverblogs listed there on the sidebar, you might have noticed that, unlike those recycled-pop blogs working to bring you the next greatest thing — you know, the ones who all post the same label-sanctioned track the week the album hits the streets — mostly, there is honor among our small and hardy band. We who mine the past through those who would reinvent it respect each other’s primacy, and pride ourselves on providing something unique — an ironic turn indeed, for a group so interested in performances of familiar song. Which is all to say: generally, when a coverblogger comes out with a solid bunch of covers of a single artist or theme which I, myself, have been collecting for, I celebrate it. Even when it means that a post subject I have been carefully preparing for must fall to the wayside, merely because some other coverblogger got to it first. But in the case of Sting, I think I can make an exception to this unspoken community policy. Because, as I noted in the comments to Ray’s mid-May post over at Cover Me, a typically diverse compendium of covers of The Police, folk artists tend towards the obscure, and the solo, as much as they do his early work. 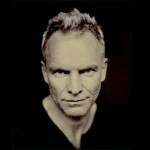 And because Sting went solo more than half a career ago, that leaves plenty of potential for our very own exploration. 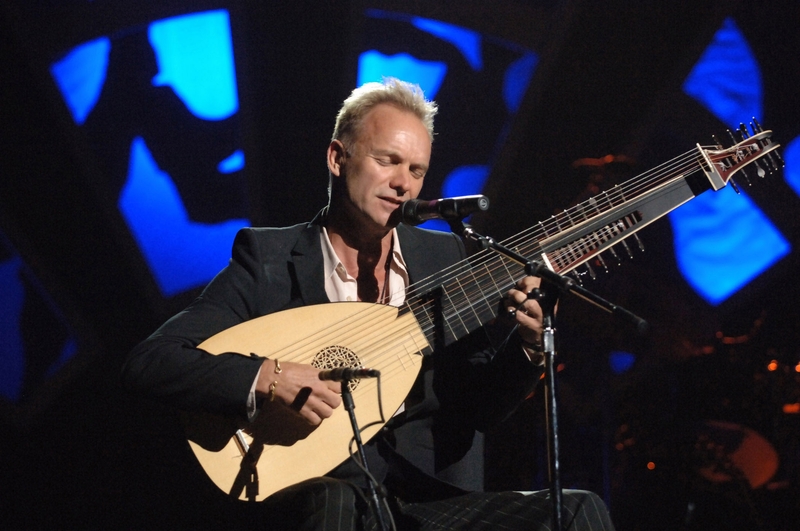 You don’t need me to tell you who Sting is. I will only note that, at least until he drifted into the pop vocals section of my local library, and decided to appeal primarily to middle-aged women, his evolution as an artist — first as a member of The Police, and then as a softer, more pensive solo artist circa …Nothing Like The Sun and Dream of the Blue Turtles — has perfectly paralleled my own evolution and interest as an audiophile, albeit just a few years out of sync. So without apology, and with less explanation than usual, here’s a few of my favorite folky covers of the Sting songbook, written both before and after his break toward solo stardom. If you’re already a regular reader over at Cover Me, consider this a companion piece to last month’s post. If not, and you, too, are a Sting fan or cover fan, don’t forget to drop in on Ray for highly recommended covers by Alanis Morissette, Uncle Earl, David Lamotte and more. No purchase links today, folks: most of these are reposts, and after all, the point of this entry is to tout my fellow coverbloggers. Special thanks to Coverville for making me feel at home by hosting a few of us way back in the day when I was first starting out, and a hearty (albeit premature) welcome back to Liza of Copy, Right? who has recently emerged after a long hiatus. For more coverblogs of exquisite taste, check out the sidebar to the right. Cover Lay Down posts new coverfolk features every Wednesday and Sunday. Coming soon: more new and back-catalog folkcovers from the mailbag, and a very special look at one of the world’s late great troubadours of the road. In my memory, summers are forever sunny. The grass is a perfect green; the air is clear and dry. Smiling faces are everywhere, though solitude is easily found. There are no tasks, save the pursuit of the wandering spirit. Nature beckons like a beacon. In real life, of course, I awoke to another rainy day on the first day of summer, my body weary and cramped from joyous dancing and stage-shifting in the Clearwater rain. 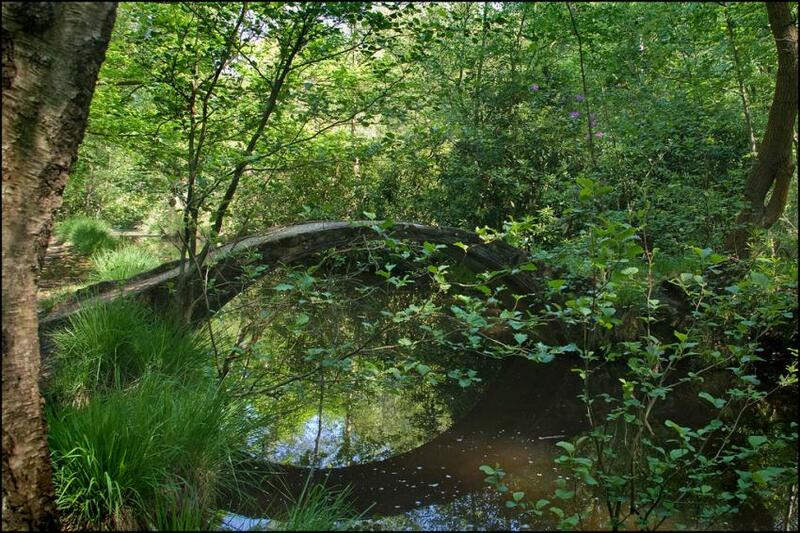 The girls are still asleep as I write this, but I can hear their beds creaking as they stir; in moments, they will pour down the stairs like rain in the gutterspouts to fling their arms around me and beg me to open their father’s day present. The skies may be dark, but my heart is light. The world is full of the things I love best: music, family, and all the time in the world. Summer is here again. Let the games begin. In the interest of time and temerity, I’m hoarding covers of that old familiar Gershwin tune for a future Single Song Sunday post; come back some other warm summer day for Dave Grisman, Eva Cassidy, John Fahey, and others. In the meantime, as always, eschew the mass market commodifiers of culture, who would sell you packaged, plastic summer in a second. Instead, play, wander, and buy local. You can start by clicking on artist and album links above to support the artists that work hard to provide the soundtracks to all our seasons. Oh, and Happy Fathers Day to all. Whether you celebrate or are celebrated today, may summer be just one of your many blessings. Cover Lay Down publishes new coverfolk features Sundays, Wednesdays, and the occasional otherday. Some odd confluence of touring schedules is bringing some amazing music, including a lengthy Sam Amidon set and several multi-generational performances at the Clearwater Folk Festival, to the greater Northeast region over the weekend. Whether you’re in the NYC area or the wilds of upper New England, if you’ve got the wheels and the time to attend, either or all of the below come heavily recommended. Notice arrived just today that Sam Amdion will be performing in his hometown of Brattleboro, VT this Friday evening at the Brattleboro Museum & Art Center in a last-minute show sandwiched between NYC gigs. Sam has moved on to bigger pastures since he struck it big with the delicate, deconstructed, mystical-meets-oldtimey folk of 2008 release All Is Well, which we featured way back in November of 2007, but hometown shows of any type are notoriously special, and the scale here is nothing to sneeze at, especially when it features one of the most talented and noteworthy reimaginers of traditional folk canon on the scene today. The best part? Friday’s show, which features accompaniment from experimental multi-instrumentalist Shahzad Ismaily — who has previously played with the likes of Laurie Anderson, John Zorn, and Tom Waits — nets you three hours of music for three bucks. And, of course, since Sam’s parents, and his percussionist brother Stephen, of new Signature Sounds signees The Sweetback Sisters, both run folk-ready, there’s always the possibility that a special guest or two might show up on stage. I’ve nothing new from Sam, but our older feature is long out of date; here’s some still-fond favorites well worth reposting. Bonus points: it appears Brattleboro is the place to be this Friday. Friend Peter Siegel, who we’ve featured here recently for his kicking cover of traditional folk tune The Golden Vanity, will ALSO be playing a show with his new stringband Housetop, inaugurating a new venue just up the street from BMAC. 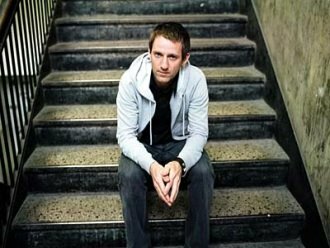 Details are on Peter’s website; see if you can make it to both shows. In equally immediate news, for those in the NYC area, I see that the line-up for this weekend’s Clearwater Festival includes festival founder and primary patron Pete Seeger, his grandson Tao Rodriguez-Seeger, plus Jay Ungar and Molly Mason, Jay’s daughter Ruthy, and her husband Mike Merenda. With the exception of Mike and Ruthy, who play as a married duo, and who we have featured here several times, the acts are all billed separately. But those in the know may notice that Ruth, Mike, and Tao make up a majority of the founding members of now-defunct folk-rock stringband quintet The Mammals, and knowing how festival stage-sharing tends to work, I’d say there’s a good bet that there will be a mini-reunion somewhere around the festival grounds this Saturday or Sunday. Here’s a bonus hint: watch the workshop stage, which is known for featuring a Pete Seeger sing-a-long and hootenanny on the last afternoon of the fest. 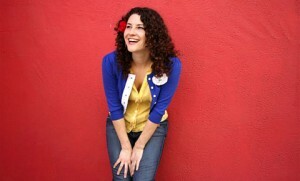 Bonus indiefolk note: Though built on the backs of the Seeger generation, Clearwater is casting a wide net this year, hoping to attract those of us who are equally enamored of the newest generation of indiefolk. In addition to the aforementioned families, Grace Potter and the Nocturnals, Dr. Dog, A.C. Newman, and Elvis Perkins in Dearland will all be performing, too. Kidfolk fans should absolutely make it to see Cover Lay Down favorite Elizabeth Mitchell in the ever-popular kid’s tent; neo-trad fans will not want to miss the Old Crow Medicine Show, and roots/blues fans should catch Alejandro Escovedo and Susan Tedeschi sets on the main stage. Heck, I was going to mow the lawn, but just listing the names is pushing me to drive across state lines come Saturday morning. Perhaps I’ll see you there. In the meantime, here’s a pair of select bonus cuts to whet your New York whistle. Cover Lay Down posts new coverfolk features on Wednesdays, Sundays, and the occasional otherday. 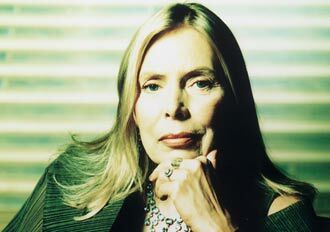 Joni Mitchell‘s early influence on her peers is part of the mythos of her era, and their support a major factor in her future success; it’s telling that David Crosby, Fairport Convention, Tom Rush, Judy Collins, Buffy St. Marie, and Judy Collins all thought enough of Joni’s songwriting to cover her work long before she won the Grammy for Best Folk Performance in 1970 — or indeed, in many cases, before she had a chance to record those songs herself. But though Joni Mitchell’s emergence is often lumped in with the transformation of folk into a mass and popular musical form in the American seventies, her impact on what folk music would become is more than just that of the crowd. 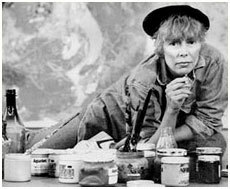 For while traditional folk songs generally tell third-persona narratives, and though earlier singer-songwriters such as Bob Dylan or Sandy Denny often use the self as a narrator and observer of the universe, it is Joni who is generally thought of as introducing feelings themselves as the primary subject in song. Whether or not she was truly the first to take this approach, Joni’s establishment of the confessional in folk music is unparalleled. Her explicit exploration of the inner emotional core — those conflicted, inward-looking lyrics, so powerful that they seem to be constantly on the verge of overwhelming the singer’s soft, soaring vocalization of them — did more to create the sense of modern folk music as intimately about the self, longing and faults and all. And the universalization of those emotions defined new ways in which folk music could connect artists and the cultures which they spoke to. Where previous folk music had evoked through narrative and metaphor, Joni’s music strung a direct line from emotional core to emotional core, from her lips to our hearts. If Joni is over-covered — and certainly her songs are at least as familiar in the mouths and hands of other artists as any female singer-songwriter I can think of — it is because her deceptively plain lyrical poetry has resonated with subsequent generations of musicians struggling with their own voices and emotions, just as it has with her fans. And as singer-songwriter folk music has continued to trend towards the confessional and the local since Joni’s best-known albums have become such staples of the folk canon — the folk imagery and narrative of Clouds, the starkly personal inner darkness and jazztones of Blue, the almost cheerful pop voices of acceptance and celebration in Court and Spark — the covers just keep coming. I’ve long been a fan of Joni’s — in fact, one of our very first Single Song Sundays here at Cover Lay Down featured an exploration of River, which has become a part of the melancholy side of the holiday canon. Today, we take a broader look at her influence, through some sweet, mostly lesser-known tributes to the seminal singer-songwriter who helped us see that folk doesn’t need to dance around the inner truth to reach every heart and soul. As always, folks, Cover Lay Down exists to support artists, and the best way to do that is to buy direct from the artists themselves wherever possible. Joni’s work is available everywhere, and if you don’t have at least the aforementioned disks you really should, but all links above lead directly to label- and artist-sanctioned stores and purchase sources; follow ‘em to hear more of what you love. 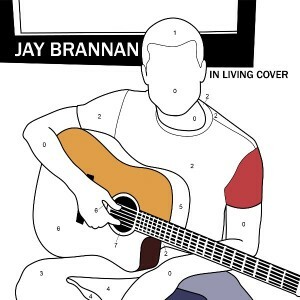 And don’t forget to pre-order Jay Brannan’s new CD to hear his incredible cover of All I Want. Special thanks to fellow coverblogger quietcore of Blowin’ Your Cover, who first posted the Natalie Merchant and Cat Powers covers above way back in January of last year. I’ve always had a low tolerance for alcohol. In college, I could get three good nights off a six-pack. Today, even a single beer with supper gives me quite the buzz. Low tolerance means I don’t drink much; after all, though I love a good microbrew IPA as much as the next guy, he can usually drive home afterwards, and I can’t. But yesterday was a tough day. By the time I got home, it was time for a drink or three. I make no apologies for taking the night off from blogging, under the circumstances. Trust me: you don’t want to see the fruits of my bleary rambling when I’m three sheets to the wind. But in the spirit of turning lemons into limoncello, today we present some favorite coversongs about drinking. There’s plenty to choose from here, as many songs as there are reasons to drink — after all, drink has long been a drug of choice for songwriters, and songs on the subject are generally direct, and easily covered. And there’s plenty of diversity in the coverage, from Session Americana and Redbird‘s ragged cheer to Martin Simpson‘s wistful irish guitar balladry, from the slow, woozy wheeze of Dan Hicks channeling Tom Waits to the hopped-up babblemouth of The Little Willies‘ countryjazz take on namesake Willie Nelson. Groovegrass coverband Hayseed Dixie burns through AC/DC’s Have a Drink on Me like a barn on fire. The Gourds‘ cover of Gin and Juice is legendary, and for good reason. Allison Moorer belts out Randy Newman’s latenight drunken phone call of a tune as a broken torch song. Fellow newfolk countrymen James Yorkston and Rachel Unthank and the Winterset take widely different but equally potent tacks on a traditional song from the britfolk tradition. And gravel-voiced Aussie Bill Chambers — that’s Kasey Chambers’ dad — recreates one of my favorite Mary Gauthier tunes as a beautiful, languid country blues. From maudlin to mad, taken in toto, today’s covers go well with just about any drink of choice, from the hoppiest Dogfish Head IPA to the dryest Pinot Grigio. And even with a lingering hangover, they make an excellent soundtrack to accompany this here Jack Daniels on the rocks. Enjoy. 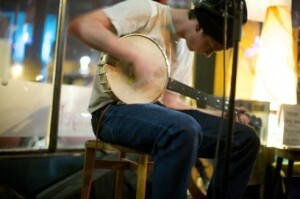 Cover Lay Down is proud to support a wide variety of folk artists. If you like what you hear, please follow artist links above to pursue purchase, keep up with tours, or just buy your favorite artist a drink. cover The Cranberries, The Rolling Stones, Anais Mitchell, The Carter Family and more! I’ve been letting the new discs and press sheets pile up by the laptop for so long, it’s hard to find room to rest my coffee cup in the morning. But out of a large set of also-rans and almost-worthies, a few covers and albums have set their hooks into me so deeply, it seems selfish not to share. And though one or two of these come from well-established artists who we’ll come to in good time, others represent the first fruits of folks with promise. Today, then, the latest installment in our recurring New Artists, Old Songs feature. This is the good stuff, from musicians to watch: fresh, reinvigorating, and on the path to greatness. Enjoy the next generation of folk. Sometimes the best music comes by accident. Case in point: last month’s Sara Watkins show was strong, but I was equally blown away by opening act Brooke Brown Saracino. I seem to have missed Brooke at the emerging artist’s showcase at last year’s Falcon Ridge Folk Fest, but finding her was a revelation, and I’m thrilled that after a stint in San Francisco, this Massachusetts native has come home to roost. Brooke’s low voice is utterly captivating, self-effacing and fragile, with shades of Deb Talan, Suzanne Vega, Anais Mitchell and Lori McKenna. 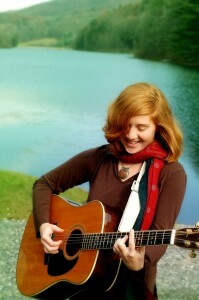 But though this is true-blue singer-songwriter coffeehouse folk, this diminutive redhead’s style is all her own: lighthearted and strange, pensive and mystical, and sparsely delivered, with the pulsed rhythm of the lyrics floated above ringing guitar. This live Anais Mitchell cover barely does her justice, but you can hear the kernel of truth; for more, head over to Brooke’s MySpace for samples, and then pick up Stranger’s Story via CD Baby. 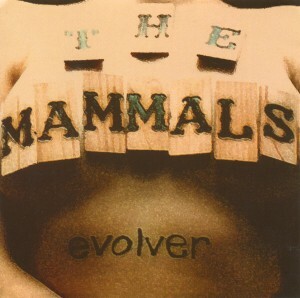 I don’t usually post token covers, and this homophonic a capella take on the Rolling Stones trademark track Mother’s Little Helper is essentially a throwaway. But from the dark, driving countryfolk title track to the perfect latenight indiefolk radiopop of I Will and Time Will Tell, the rest of Linda Draper‘s Bridge and Tunnel is startlingly good — perhaps one of the best albums I’ve heard this year, and from an artist I had never heard of before the album showed up unsolicited in my mailbox. 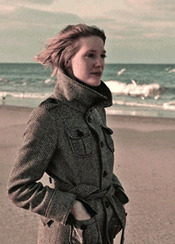 Draper turns out to be a veteran of the same anti-folk scene that put forth Regina Spektor and the Moldy Peaches; this is her fifth full album, and though her full-lengths tend heavily towards strong original songwriting, a few covers have appeared here and there, most notably on her 2005 EP Traces Of. So here’s the backcatalog, and the throwaway. But do your ears and heart a favor: check out Bridge and Tunnel. 27 year old New Yorker Jay Brannan is one of the first great singer-songwriters to emerge from the social networking age; in just three years, he’s gone from posting his own work on YouTube and MySpace to blog and download stardom. His first full-length CD, last year’s Goddamned, hit the top spot on the iTunes folk charts, and now he’s back with In Living Color, a 9-track album composed of 7 cover songs and 2 originals that drops on July 7. Brannan’s second cover from this album, a surprisingly reflective, honest pianofolk take on The Freshman, will be released digitally on June 16; his Cranberries cover, which is already up for grabs, is equally powerful, pairing delicate acoustic guitar with the drowning sounds of a full string quartet. That Brannan manages to transcend these overwrought, overplayed originals, regifting them with meaning and beauty alike, says everything about his genius and ability. That the rest of the album is equally strong and beautiful — just wait until you hear what he does with a single guitar and Joni Mitchell’s All I Want — says everything about how far Brannan will go from here. 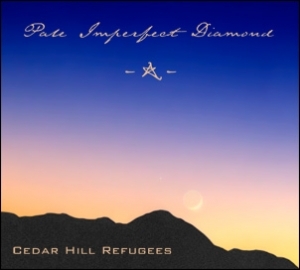 Though nominally the debut album from the Cedar Hill Refugees, Pale Perfect Diamond is actually a work for and from the ages. 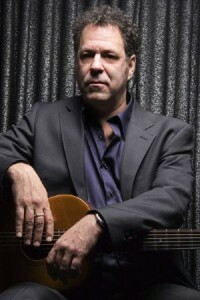 The album, a project of musicologist Jack Clift and producer/songwriter John Carter Cash — son of Johnny and June, and direct descendant of the Carter Family — is the culmination of Clift’s life’s work finding commonality with Uzbekistani folk music and traditional appalachian folk music, and though the concept sounds iffy, the result is a stunningly successful joining of two traditions. The music flows seamlessly in and out of eastern and western instrumentation, mystical dronestrings and drums and horns carrying us between continents. And it’s all framed by banjo and autoharp and mandolin, topped off by a huge collection of highly familiar mountain folk voices, from Cash himself to Ralph Stanley and The Peasall Sisters, whose angelic three part harmonies you may remember from O Brother, Where Art Thou. I was going to wait on this one until I did a full set of A.P. Carter covers, but I’ve had this incredible oddity sitting around for over two months, and I just can’t get it out of my head, or my car CD player. We’ll call it a teaser, both for the album and the future feature. Last but not least: indiefolk duo the everybodyfields announced today that they have split up to pursue solo projects. In a bittersweet move, the announcement comes with this live Lucinda Williams cover from the now-solo singer-songwriter Jill Andrews. Thanks to Captain’s Dead for the passalong. Cover Lay Down publishes new coverfolk features Wednesdays, Sundays, and the occasional otherday. Moving to our own domain last November meant deserting a year’s worth of old files — a move consistent with our desire to keep Cover Lay Down from becoming a permanent archive for commercially available tracks, since that would ultimately undermine the livelihood of the very artists we are trying to support. I’ve had many requests for various “lost tracks” since then, and while I appreciate any and all contact from fans and visitors, my answer is generally the same: though I am sometimes willing to send a sample for those who have never heard a given track, and though I do hope to run a “reader’s choice” vote sometime in the near future which would reinstate a few choice “lost tracks” in the name of reinvigorating interest in a particular artist or feature, Cover Lay Down is avidly, unapologetically pro-artist. And, as such, we cannot and will not be a clearinghouse for those who would prefer to snag music without artist recompense. A surprising majority of those emails, however, have asked about the acoustic covers from our Denison Witmer Covers Project. To the best of my knowledge, those tracks are one-of-a-kind, produced for the web, and currently unavailable elsewhere. And since the original intent of that project was to provide a permanent archive for the five delicate, sparse covers Denison recorded in the weeks leading up to the late 2008 release of Carry The Weight, with Dension’s permission, I’m reposting them here for all to share. Dension Witmer’s well-crafted work is available through his website; all his albums, up to and including Carry The Weight, come highly recommended. Coverfans will find an especially rich and diverse set in Recovered, his 2003 cover tribute to Gram Parsons, Neil Young, Big Star, Leonard Cohen, and the other artists and songs which have influenced his own songwriting and performance. More generally, please support the artists and albums we promote here. Without the ability to profit off their work, artists must remain hobbyists, producing their work in hours stolen from families and full-time jobs. And though, as an amateur myself, I’m all for hobbyism, the best work comes from those who can devote their lives to it. Buy the albums. Get the T-shirt. See the concerts. Donate to bloggers who help spread the word. The richness of our music depends on your patronage. It’s that time of year again, when a folk fan’s thoughts turn to this year’s summer festivals. Though the weather up here in the American Northeast makes for a relatively short season, there’s plenty of choices, from this month’s eco-centric Clearwater Festival to that one glorious weekend in mid July when both the Green River Festival and Grey Fox Bluegrass take place, forcing fans to choose between a lovely two day set of popfolk, alt-rock and blues on the one hand, and the best damn Bluegrass camp-out around on the other. But for my money, there’s no better weekend in the Northeast region than the annual Falcon Ridge Folk Festival, our home away from home, in Hillsdale, NY, July 23-26. I wrote about Falcon Ridge last year, but it bears repeating: this four-day, four-stage extravaganza of music, dancing, and acoustic mayhem is an incredible adventure, the best damn spontaneous intentional community you’ll ever find. This year will mark our eleventh consecutive year on the hill at Falcon Ridge, and we wouldn’t miss it for the world — I even snuck down the year my first child was born, just a week after the birth. As I noted after last year’s Falcon Ridge Folk Fest, after a tornado brought the festival to a screeching halt last year, there were some concerns that this year’s Falcon Ridge Folk Fest would be a washout, too. But thanks to community support from fans and musicians, this year’s performers include plenty of well-honed talent from the folkworld, including previously-featured CLD favorite Susan Werner, old-school pop folk artist Janis Ian, celtic fiddle wizard Eileen Ivers, Woody’s granddaughter Sarah Lee Guthrie, and the usual plethora of musical acts from a wide swath of the modern folk, folk rock, world beat, and contra worlds. Fest mainstays Tracy Grammer, the Nields sisters, and Gandalf Murphy and the Slambovian Circus of Dreams will be there; all three will likely participate in the yearly all-hands-on-deck two hour tribute set, and just like last year, I’m hoping to record it and pass it along here upon my return. I’m really looking forward to seeing country folkrockers Stonehoney live for the first time, and if you’re looking for me when the newly-formed “backwoods chambergrass” act the Folk Arts Quartet is performing, I’ll be at the foot of the stage, just a few feet off center. Here’s a few more names to watch out for at this year’s Falcon Ridge Folk Fest, each well worth the ticket price. Like most folks outside of NYC, I first heard Cliff Eberhardt on Legacy, a 1990 folk sampler which aimed to capture the best of the era’s burgeoning folk scene; since then, I’ve come back time and again to his signature rasp and bluesy contemporary folkstyle, and each time, my fandom deepens. Eberhardt, who came out of the same New York crowd as FRFF regulars Shawn Colvin, John Gorka, Richard Shindell and Lucy Kaplansky, now lives right over the Berkshires from Falcon Ridge, so he may not be sticking around after hours, but I’m really looking forward to his performance, especially after the 2007 release of the marvelously stripped down The High Above and the Down Below, a jazz-tinged, soul-searching album of renewal and realization that followed a major accident. Fellow Falcon Ridge regular Susan posted Eberhardt’s wonderful cover of the Dire Straits classic Romeo and Juliet just last month over at collablog Star Maker Machine; like these later-career tribute album cuts, it’s a timeless classic in his able hands. 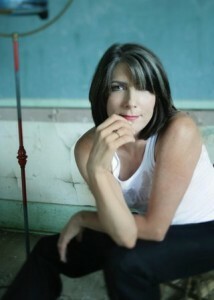 Kathy Mattea may have made a name for herself on the Billboard top country charts, but this rich alto voiced singer-songwriter and interpreter of song has plenty of folk cred, both as a solo performer and as a cover artist, ever since her 1986 take on Nanci Griffith tune Love at the Five and Dime, which features country legend Don Williams on harmony vocals, put Griffith on the map as a songwriter. But though she has always been known for her introspective approach to song, since the turn of the century, Mattea has drifted even farther towards the folkworld. She switched labels for 2002 album Roses, which explored the eclectic Celtic tradition, and her most recent album, a social activist’s collection of songs about coalmining, is true-blue neotraditional folk with a hint of twang and a solid dose of bluegrass. Here’s a typically diverse set: a few folk covers from the recent past, and a golden oldie from the country charts. Like Kerrville in the South, Falcon Ridge is known among up-and-comers as a hotspot for discovery, thanks to their Friday afternoon Emerging Artist’s Showcase, which features thirty relative unknowns in just three hours, all competing for a feature spot on the mainstage the following year. Last year’s winners were Lucy Wainwright Roche, Abi Tapia, Amy Speace, and local boys made good Blue Moose and the Unbuttoned Zippers; each stood out among an outstanding crowd, and for good reason; their sets and workshops this year promise to weave strong songwriting and gleeful youth throughout the festival. I’ve yet to find a cover from Tapia, but here’s a few teasers from the other newest faces at this year’s fest: a traditional Scottish tune from Lucy’s MySpace, a pair of well-chosen americana cuts from the incredible Amy Speace, who has recently been on tour with Judy Collins — the Blondie cover is especially sweet — and a pair of great newgrass-tinged folkclassics from BMUZ. Last but not least, I’m thrilled to report that 2005 Falcon Ridge Most Wanted Showcase winners Girlyman will be back, bringing their outrageous-yet-sensitive folk rock close harmonies to the summerstage once more. In a year without Dar or Ani, the fully genderqueer trio (along with late addition folk rock singer-songwriter Pamela Means, another previous-year showcase winner) are bound to bring the out crowd plenty of opportunities for both intimate, confessional outfolk and typically hilarious stagecraft. Girlyman’s covers in concert are infamous; I was privileged to be part of a singalong to Free Fallin’ last time I saw them, and their genderswitching take on Son of a Preacherman is a classic. If their growing set of live archives are any indication, things have only improved since. These covers, too, are truly inspired, full of crunchy acoustic harmony and energy; the George Harrison cover is one I’ve put on dozens of coverfolk mixtapes, and I’m happy to be able to share it here. Cover Lay Down publishes new coverfolk features Sundays and Wednesdays; all postings are designed to promote artists and music venues, so click on the links above to buy tickets and tracks if you can. Coming soon: we finally get to the mailbag, and discover all sorts of wonderful newness.